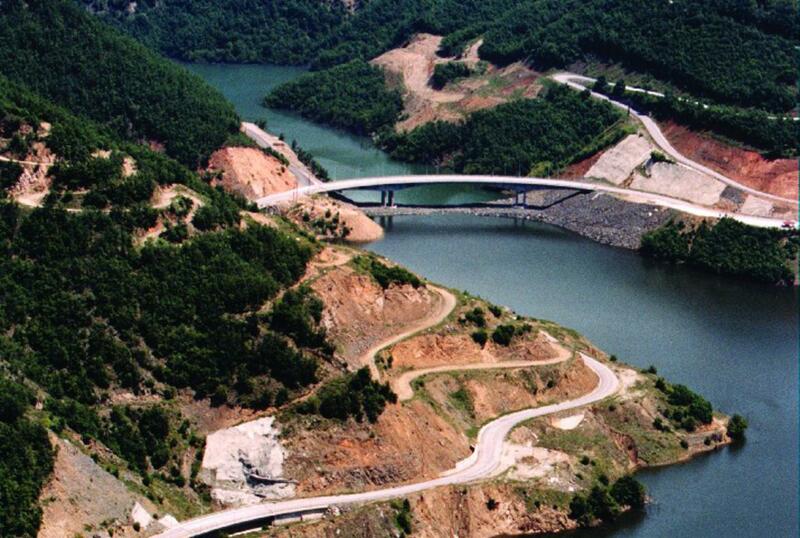 The creation of an artificial lake above the Thissavros Hydro-Electric Project dam in the River Nestos, close to Drama, necessitated the construction of a number of bridges to reroute local traffic. The construction of these bridges proved to be a complicated task due to their height and curved tracing requirements. To restore traffic towards Sidironero and Papades the Group constructed five bridges using sliding formworks in cantilever for the deck and climbing formworks for the piers, reaching a height of 75m. The principal bridge over the Nestos has a total length of 298m.